Warner Bros. Interactive Entertainment, TT Games, The LEGO Group and Lucasfilm today announced LEGO Star Wars: The Force Awakens, marking the triumphant return of the No. 1 LEGO videogame franchise, allowing players to relive the epic action from the blockbuster film in a fun-filled, humorous way that only a LEGO game can offer. Launching on June 28, 2016, the game will introduce brand new gameplay mechanics to build, battle and fly through the galaxy like never before, as well as new story content exploring the time between Star Wars: Episode VI - Return of the Jedi and Star Wars: The Force Awakens, providing additional insight about the new movie and its characters. The studio launched the first trailer for this upcoming LEGO game, which you can check out below. LEGO Star Wars: The Force Awakens, developed by TT Games and published by Warner Bros. Interactive Entertainment, will be available for PlayStation 4 and PlayStation 3 computer entertainment systems, PlayStation Vita handheld entertainment system, Xbox One, Xbox 360, the Wii U system from Nintendo, the Nintendo 3DS family of systems and Windows PC. No pricing details have been announced at this time. Here's what Tom Stone, Managing Director, TT Games, had to say in his statement. "We're extremely proud of the LEGO Star Wars videogames, truly an incredible franchise that has sold more than 33 million copies and helped ignite a passion for numerous fun-filled LEGO games enjoyed by countless gamers around the world. LEGO Star Wars: The Force Awakens will be pushing the series forward with innovative new gameplay mechanics, while also exploring new parts of the universe that are sure to excite and delight both LEGO and Star Wars fans, as well as newcomers to our games." 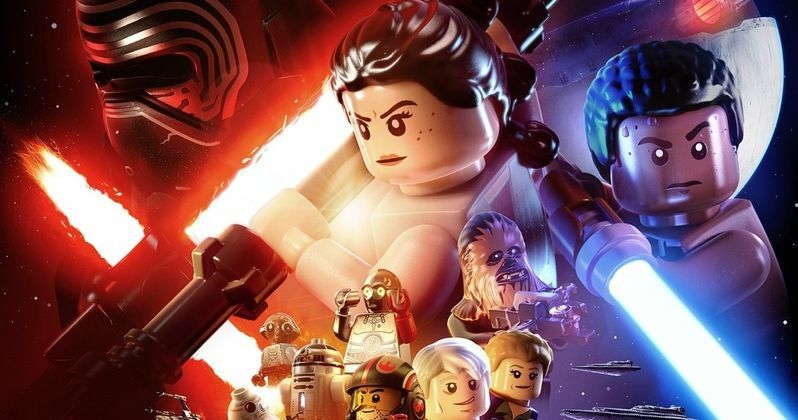 LEGO Star Wars: The Force Awakens takes players deeper into the new film than any other game with all of the heroic characters from the movie, including Rey, Finn, Poe Dameron, Han Solo, Chewbacca, C-3PO, and BB-8, as well as Kylo Ren, General Hux and Captain Phasma, while also exploring iconic Star Wars locales, such as Jakku and Starkiller Base. PlayStation 4 and PlayStation 3 players will have access to exclusive downloadable content, the Droid Character Pack and the Phantom Limb Level Pack. For information on LEGO Star Wars: The Force Awakens, visit the PlayStation Blog. Here's what Ada Duan, Vice President, Digital Business & Franchise Management, Lucasfilm, had to say in her statement. "We are thrilled to be bringing back the LEGO Star Wars videogame franchise, which kicked off such a beloved series of LEGO titles more than a decade ago. LEGO Star Wars: The Force Awakens allows players to experience the new film in a unique way that only TT Games can provide, combining signature humor with epic Star Wars action. With previously untold story content exploring new details about the movie and its characters, it's a perfect fit for fans of all ages." This action-packed adventure introduces new gameplay features, including the enhanced "Multi-Builds" system, where players can choose from multiple building options to advance the game. Gamers will be able to engage in intense new Blaster Battles for the first time, utilizing surrounding environments to drive back the First Order. Fans can also experience the thrill of high-speed flight gameplay through arena-based battles and dogfights in space, while utilizing a multitude of vehicles along the way, including the legendary Millennium Falcon. Here's what Niels Jørgensen, Vice President, Digital Games for the LEGO Group, had to say in his statement. "We are delighted to return to the Star Wars Universe and continue the journey with the franchise that started it all for LEGO videogames. LEGO Star Wars: The Force Awakens will offer an amazing gaming experience covering not only the movie but also exclusive content with all the fun and humor you would expect from a LEGO game, while delivering the epic Star Wars adventure fans expect." In addition to the trailer, we also have the first photos from this upcoming game. Fans can follow LEGO Star Wars: The Force Awakens on Facebook, Twitter and YouTube for more information on this upcoming game. While we wait for more details, on this highly-anticipated game, check out the announcement trailer and photos. Will you be picking up LEGO Star Wars: The Force Awakens when it arrives on June 28?